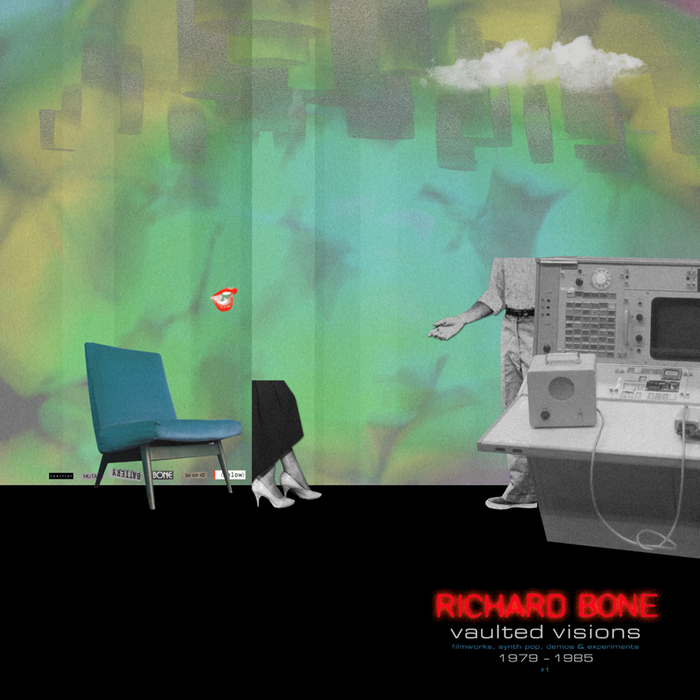 VOD128 RICHARD BONE Vaulted Visions Filmworks, Synth Pop, Demos.... 1978-85 3Lp-Box w.7"
Richard Bone is an American electronic musician who began his professional musical career creating soundtracks and scores for several off-Broadway companies working in experimental theater. Bone then recorded a solo 7" entitled "Digital Days/Alien Girl" on and was subsequently signed to Survival Records in the UK in 1983 where he released several LPs, EPs, singles and contributed to various compilation albums. His 1983 single "Joy of Radiation" reached No. 1 on the Hong Kong Dance Chart. Bone started the label Quirkworks Laboratory Discs in 1991, allowing him freedom to create music of a more experimental nature and retain control of his musical direction. Since then Bone has released over 25 recordings of new material and several collaborations and compilations. Of the new material recordings, three quickly rose to No. 1 on industry charts as well as receiving numerous other honors. This 3Lp/7inch-Set on Vinyl-on-Demand gives you an excellent overview to his early Filmworks, Synth Pop, Demos & Experiments produced between 1979-85.